Team Members at Pet Central in Livonia, MI rallied to help a neighbor in need. Check out this story provided by Julie Lawler-Hoyle, who is a team member at Pet Central. On Wednesday I sent an email to my Pet Central team mates announcing a very special event happening right here in our community that began the next day – the sixth annual Roxie’s MEGA Mission garage sale fundraiser. 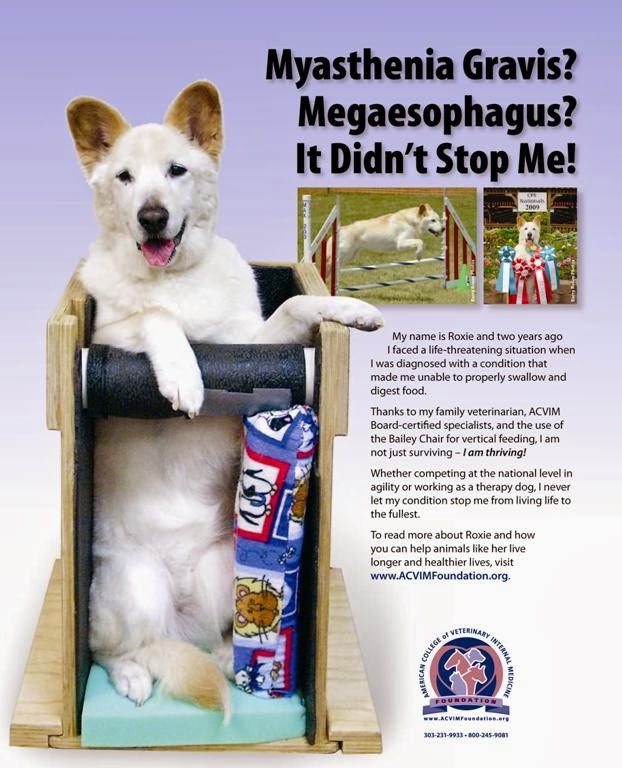 Livonia, Michigan native Debbie McDermott, started Roxie’s MEGA Mission to spread the word to vets and pet parents alike that mega esophagus, a condition where the esophagus does not work properly to get food down into the dog’s stomach, was not a death sentence. 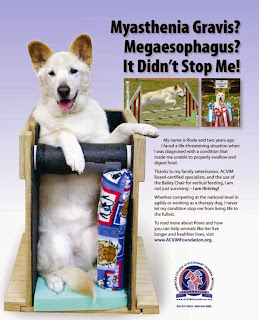 With vertical feeding in her Bailey chair, Debbie’s rescue dog Roxie not only survived, but thrived. When I sent the email, I was just hoping that some Pet Central team members would be able to go shop and support this cause since the annual sale is held right here in Livonia, just minutes away. Team Members at Pet Central, Amy, Reina, Julie, and April had a better idea, and in less than a day, they pulled together 3 carloads full of items to donate to Roxie’s sale! Debbie, who is also a loyal PSP neighbor, was crying when we showed up on the first morning of the sale, she was so overwhelmed by our support! She put her collection of PSP plastic shopping bags to use for garage sale customers who bought treats, food, etc. Let’s give a HUGE Pat on the Back to everyone at Pet Central who helped with our donation to Roxie’s MEGA Mission garage sale, especially Amy, Reina, Julie and April! I am proud to work with such a great team here at Pet Central.